Eggs tasting a little… fishy? Have you ever sat down to a beautiful egg breakfast, taken that first bite, and noticed something fishy? Yes, it’s possible your hens are laying eggs that are super funky! So what’s causing it and what can you do to fix it? Omega-3 is a fatty acid that is essential, meaning the body cannot produce it but must consume it from food. Omega-3’s are associated with healthier brains and hearts, improved mood, reduced joint pain, and healthier skin and hair. They may also play a role in protecting against heart disease and cancer. Basically, Omega-3 fatty acids are really good for you! So what foods are high in Omega-3? Leafy vegetables, nuts, flaxseed and flaxseed oil, some animal fats, and fish. When it comes to sources of Omega-3’s, fish reigns supreme. Normally, when a hen eats her feed, her liver produces an enzyme that deodorizes the fishiness of the Omega-3’s in her diet. However, some hens have a defective gene that prevents enough of the enzyme from being produced. That means the smelliness from the Omega-3’s in her feed get concentrated and deposited right in to the yolk of her eggs, and passed on to you. You can thank her for the healthy fats, but they’ll come at a smelly cost! So what can you do about it? Take a look at the list of ingredients on the feed tag. Look out for fishmeal, flaxseed, flaxseed oil, canola, or canola oil. These are all ingredients high in Omega-3 fatty acids. 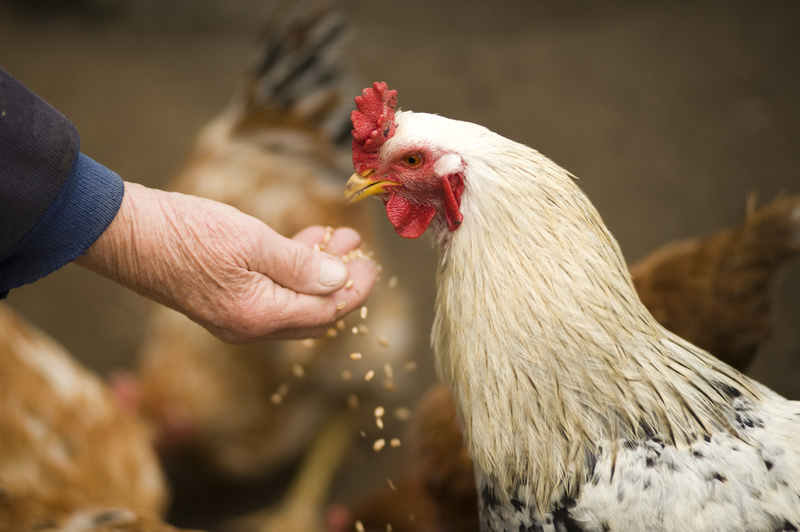 Then think about what extras you might be feeding your hens. Treats like leafy vegetables, squash, and beans are high in Omega-3’s. All of those Omega-3’s adding up in your hen’s diet will result in fishy eggs! You probably won’t need to eliminate all of those things completely, but try reducing them until you get eggs that are smellible and edible. But hey, if the fishiness doesn’t bother you, there’s nothing wrong with the eggs. In fact, the fishier the eggs, the higher in Omega-3’s, and the healthier they are for you. So eat up! Next PostNext When it comes to Chick Season, winter is the new spring.